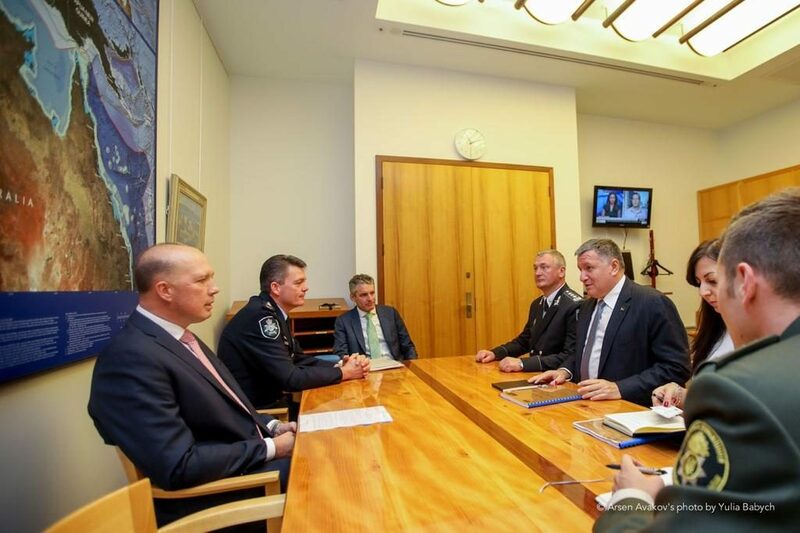 During the working visit of the Ukrainian delegation to Australia, a meeting was held between the Minister of Internal Affairs of Ukraine Arsen Avakov and the Minister for Home Affairs of Australia Peter Dutton. The parties agreed to develop a joint program of systemic interaction to combat terrorism and cybercrime. The meeting was also attended by the head of the National Police of Ukraine Sergey Knyazev and the Australian Federal Police Commissioner Andrew Colvin. “Ukraine is the first proving ground where Russia is testing its hybrid war technologies, and we already have a lot of experience in countering them. In this conflict also participated some “adventure seekers” from Australia, who joined the illegal armed groups in Ukraine. Such people who got the experience of participation in hybrid conflicts are very dangerous because they are carriers of specific information that can harm the national security of your country and benefit the aggressive actions of the Russian Federation. In this area, we already cooperate with Italy and the UK, and we also want to give you a list of five Australian citizens to enable you to take the necessary and tough countermeasures”. 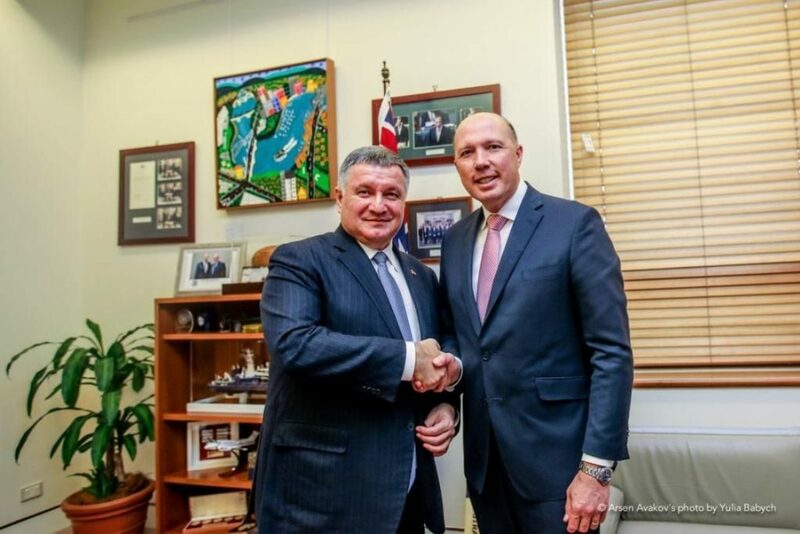 Arsen Avakov reminded that Ukrainian cyber specialists have already cooperated with Australian colleagues more than once. “We have undertaken two fairly successful joint operations, but we would like our joint work to be systematic. Soon I will visit the INTERPOL Global Complex for Innovation in Singapore. We want to significantly strengthen our interaction with IGCI, first of all, regarding countering cyberwar and defense against cyber attacks. We are closely interacting in this area with our colleagues from the USA and the UK. We have conducted the largest special operation “Avalanche”, aimed at identifying financial fraudsters around the world. Our joint international team has fought against ‘NotPetya’ virus. This virus has also affected Australia. 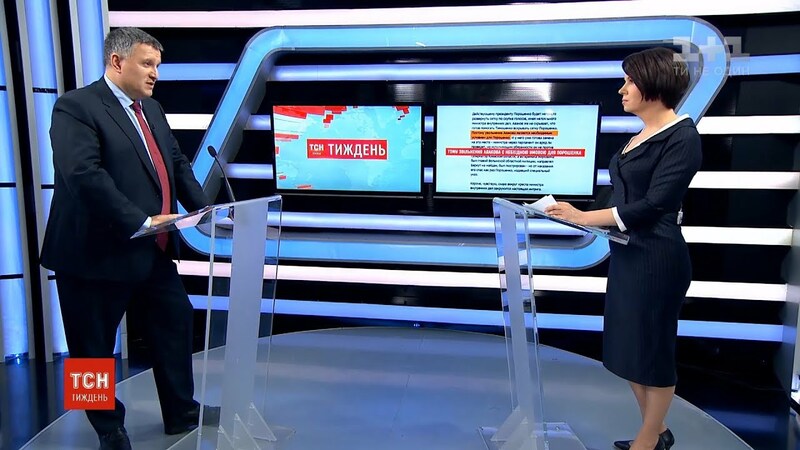 As far as I know, the criminal group that had spread the ‘NotPetya’ virus was also involved in the cyber attacks during the elections in France and the UK”, – informed Arsen Avakov. 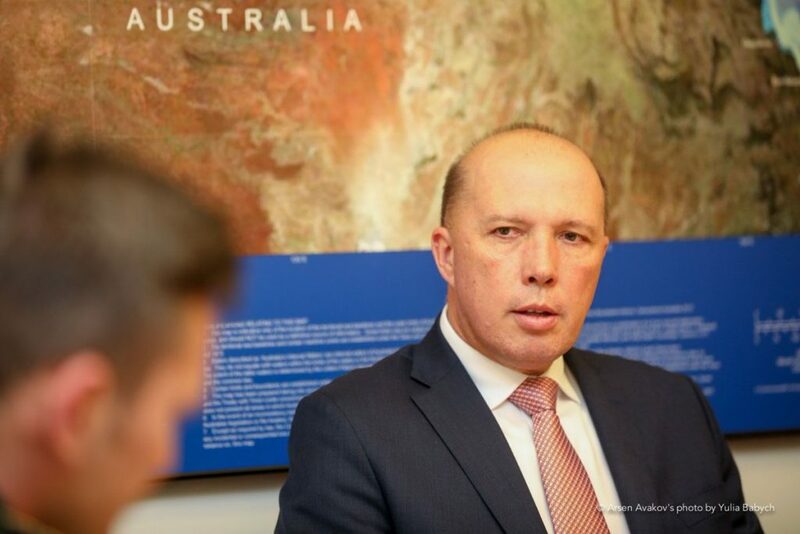 The Australian Minister for Home Affairs Peter Dutton noted that they are already cooperating in this area with the United States, Canada, New Zealand, and the United Kingdom within the framework of the Five Eyes Law Enforcement Group. However, Australia is interested in expanding cooperation with other countries. “In the Australian context, we are worried about the influence of China and Russia. We have developed certain standards aimed at countering cyber attacks, protecting critical infrastructure and large-scale international capital that operates in our country. You know that we are part of the Five Eyes Law Enforcement Group together with Canada, the United States, New Zealand, and the United Kingdom, but we are also interested in seeking intelligence data outside of this Group. Therefore, we can consider a project of joint activities and further cooperation”, – said Peter Dutton. 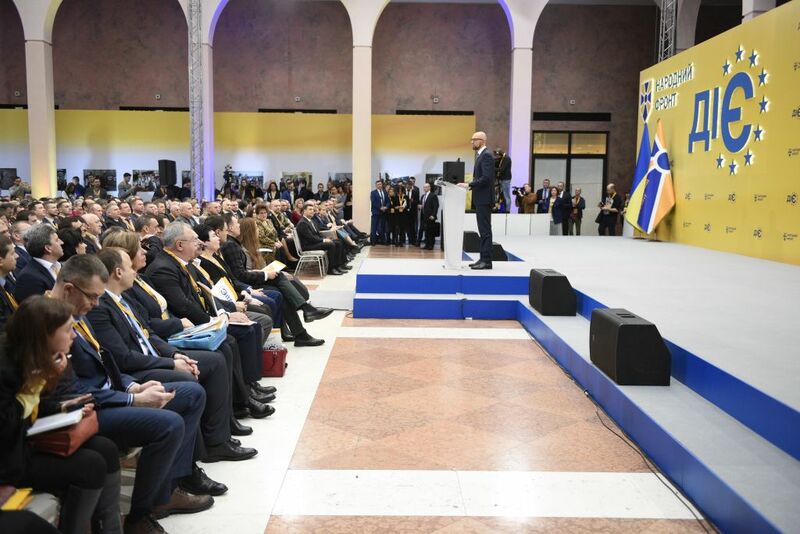 Also, the parties discussed the issue of mutual recognition of driver’s licenses and other ID-documents, as well as seeking assistance from the Australian government to provide for the psychological and physiological rehabilitation of the Ukrainian military and police personnel affected during the ATO/OOS.